In the world of gearheads, the Hemi engine has taken on mythic qualities. Thanks to an interesting history--and great marketing--it has somehow become a sort of holy grail of horsepower. But the Hemi is very real and comes complete with its own inherent strengths (gobs and gobs of torque) and weaknesses (limited rpm). It also has some pretty unique quirks when it comes to assembly. This video series documents the assembly and a dyno session of a classic 426 Hemi that will be going back into a 1969 'Cuda. Ken Troutman of KT Engine Development is handling the assembly duties, and his goal with this engine is is keep the classic look while dramatically increasing power output. Plus, he's also keeping the compression ratio right around 10:1 so that the engine will be happy on pump gas. Except for the dual quad carburetors and the oil pan, just about everything else remains stock. 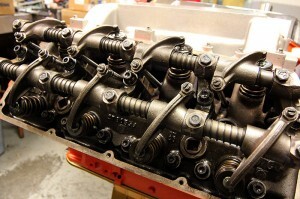 That includes the block, cylinder heads, crank and rocker arm setup. The first video is all about establishing a good foundation as Troutman assembles the bottom end. 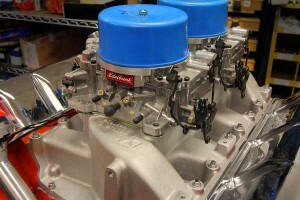 In Part Two we attack the Hemi's unique valvetrain. The shaft-mounted rocker system we're using is original equipment, and it's interesting to see how the complex system still manages to work so efficiently four decades after its design. We also take a look at how the heads have a unique method of fasteners to secure the heads to the block. To maximize intake port flow, some of the fasteners must be threaded into the underside of the head before setting them on the deck of the block. Check out the video and see for yourself. We're wrapping up the build of the Hemi in part three. This time around engine builder Ken Troutman finishes up the ignition, induction system and--best of all--does a little dyno testing. Check it out and let us know what you think in the comments below. 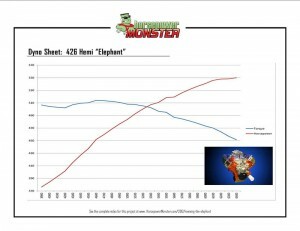 Check out the printable 426 Hemi dyno chart here. Cool engine! I can't wait to see the rest. When will the other videos be up? We'll try to get a new one up every week. Those are some awfully big pistons. All hail the mighty mopar! Cool build. It is always interesting to see what the old performance engines would really do with little to no modification. One thing, Chrysler started building the first generation of Hemi's in 1951, not 1958.